It’s been almost two years since chef Jason Atherton set his eyes on this buzzing city and on Tuesday September 19th, the whole team will mark the occasion with an unmissable night! 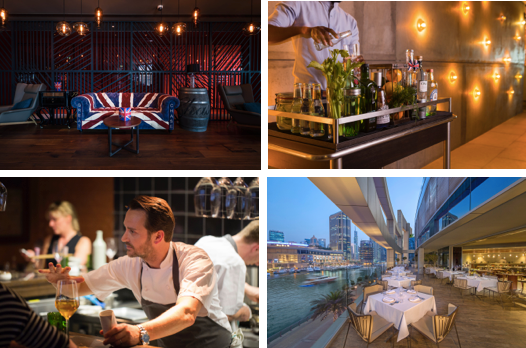 Inspired by Dubai’s vibrancy and pool of cultures, the special social eatery concept has matched great food with ambiance, a fun-loving team with great service and warm interiors with scenic Marina views. From The Social Room to the main dining area which offers different options and experiences including a terrace, Marina Social took on an identity of its own, quickly building its reputation from its seasonal menus, a casual and social atmosphere, panoramic views and a range of weekly offerings to choose from. With fan favorites including “Tomato Buratta”, “Social Dog” and “Goat Cheese Churros,” Its British Mediterranean inspired cuisine now attracts loyal and new diners for every occasion, whether they are British expats longing for an end of weekend roast, or foodies looking for their next brunch destination, there’s something for everyone. Inspired by the cool and quirky streets of London, Marina Social will have great music, interactive mixology stations and your favorite dishes at our Street Social event.